Transparency is so hot right now. From posting employees' salaries online to sharing the cost and markup information of retail items with its customers, companies are working to fully embody the term. It's the buzzword of the moment, and Sisarina, a Bethesda, Md.-based branding company, is giving the adjective a full-body embrace. Every Wednesday, Sisarina opens its doors to the public for an hour. Anyone can step in, grab some coffee and chat with Sisarina's staff without an appointment. People come with questions, to ask for advice, or share stories; there's no 'right' reason to drop by. Surprise is a common reaction when people first find out about the practice, says Melanie Spring, Sisarina's CIO (that stands for Chief Inspiration Officer). "I get a lot of 'You really do that every Wednesday? Seriously?'" she says, laughing. But after nearly two-and-a-half years of hosting weekly open meetings (which, depending on the week, attract somewhere between one and seven people), Spring has no regrets. She finds that these open sessions -- or “cups of inspiration,” as the company calls them -- connect Sisarina to the local community in a way that's just not possible through online channels. "I'm really keen on making sure people go offline to build relationships," she says, a practice she sees less frequently as companies increasingly rely on social media to interact with customers. Inviting the public into Sisarina's office is not only a great way to facilitate face-to-face connection, it also generates organic word-of-mouth press for her company. "I don’t feel like I have to go to every networking event in the world because people are coming to us," Spring says. Perhaps more importantly, these open sessions show the public that "our branding matches our internal culture," she says. Multiple people have told her that Sisarina's office space looks like its website, an observation Spring always loves to hear; she's proud that Sisarina's image matches its reality. "It's great to be able to show people that we're not advertising ourselves one way, but really working out of a basement," she says. "We want to be really accessible and transparent about who we are; opening our offices up allows people to meet us in real life, get to know us and get a real sense of our culture." These weekly sessions have resulted in more tangible, monetary benefits as well; visitors have transitioned into clients, interns and even full-time employees. The company gained a long-time client when one of its employees chanced upon the Wednesday open meeting. "He thought, 'I'm just going to go by and see what these chicks are like,'" says Spring. "He ended up hiring us for his company. We gave them a whole new brand and a whole new website." dPop, an interior design studio, makes Sisarina’s open door policy look downright tame. About once a month, the Detroit-based company welcomes anyone and everyone into its office for the entire day. Guests are encouraged to bring laptops, tablets, or anything else they need to get some work done. 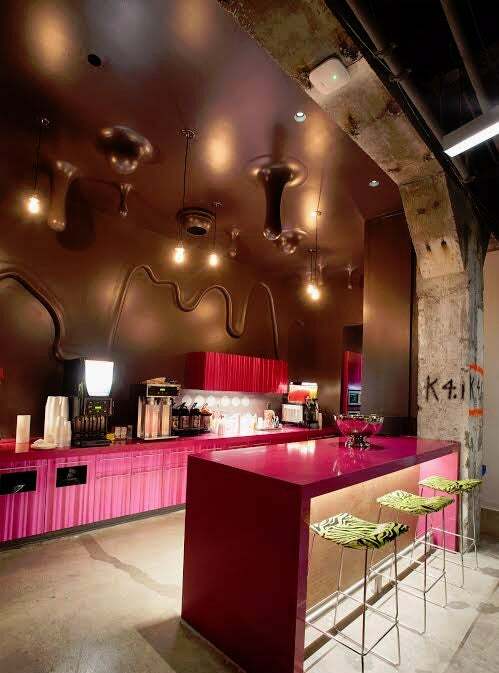 Besides access to dPop’s funky interior, they have access to dPop's coffee machine and WiFi. Melissa Price, the company's CEO, says that the practice really isn't about gaining new clients ("I'd say we've gotten one or two from this, certainly not many"). Opening up dPop's offices is, instead, about infusing the space with creative energy. It's the same sentiment that had prompted the late Steve Jobs to place the only bathrooms at Pixar in the middle of the studio’s complex. It was inconvenient, but he wanted to force employees who wouldn’t otherwise interact to naturally mingle, encouraging conversations between individuals who had different areas of expertise, perspective and opinion. That, he felt, is where the magic happened. 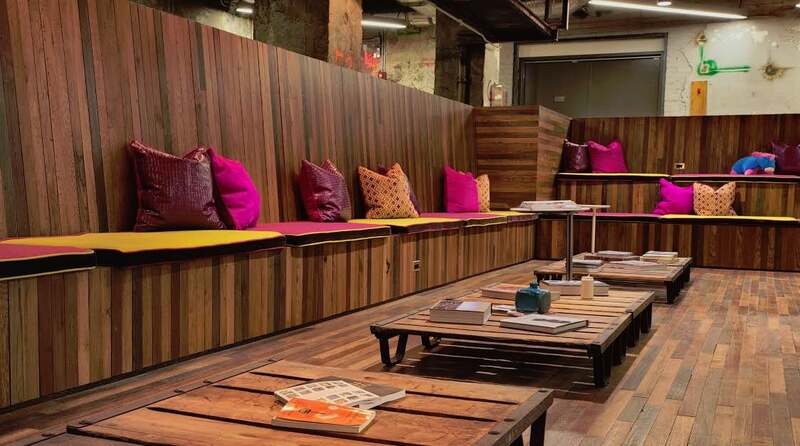 Related: What's the Top Benefit of Co-Working Spaces? Both Spring and Price insist that so far, there have been no security concerns. At dPop, there's a security guard who works the building, which the design studio shares with a handful of other companies, but Price has never had to call him. As for Spring, she says that anyone can walk into Sisarina's offices, open session or no open session. So far, there have been no problems, although occasionally "We've had some people where we were like 'oh my gosh, they're still talking?'" Spring laughs, although those people rare and don't generally come back for repeat visits. She's surprised that more companies don't open their doors to the public. "You generate word-of-mouth and you can control your brand a little better because people are coming to you and getting to know you in your home environment," she says. "It's great idea for any company with a strong culture."